The Port of Brookings-Harbor shines like a jewel on the beautiful Siskiyou Coast in Southern Oregon. Located just over the border from California and the Redwood National Forest, the Port of Brookings-Harbor is the gateway port to Oregon. 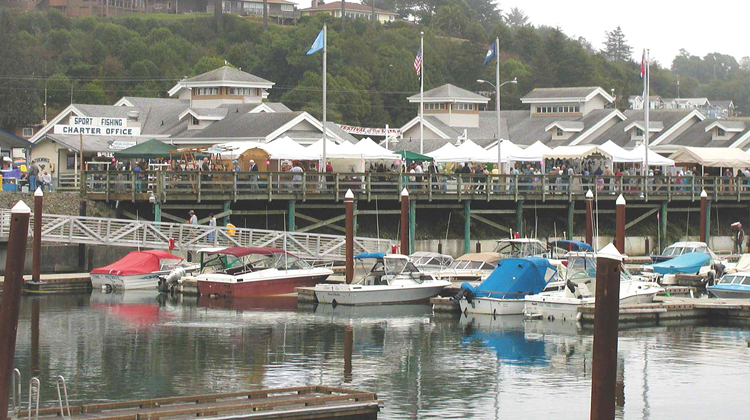 With Oregon’s safest bar and a temperate climate (temperatures of 70 degrees not uncommon in July or January), the Port offers an ideal site for both the serious deep-sea fisherman and the person who has never tried his hand at catching the big ones, as well as those whose favorite pastimes reside on terra firma. Off the water, the Port contains an array of retail businesses fronting an impressive boardwalk that overlooks two boat basins. The Boardwalk, a great source of local pride, provides a beautiful, restful place for locals and visitors alike. 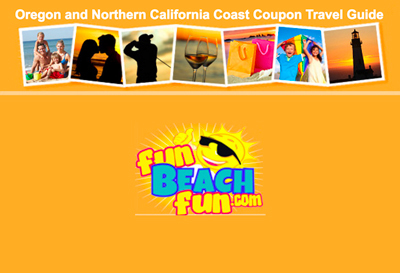 It is lined with colorful shops and businesses offering a wide array of merchandise and services: books, ice cream, clothing, artwork, guided tours, and a spectacular diversity of mementos and gifts. Restaurants in the area feature everything from snacks to regional and international cuisine, including, of course, fantastic seafood. The Port of Brookings-Harbor enjoys easy access from Hwy 101. From the South (California) a left-hand turn at the Benham Ln. traffic light leads the driver onto Lower Harbor Rd. and the southern end of the Port area. From the North, Hwy 101 signage is limited, but does allow traffic to exit to Port property. The bridge crossing at the Chetco River allows an adequate view of the Port to alert visitors of the approaching exit. The Port can also be accessed from Shopping Center Ave., and from Benham Ln. via Oceanview Dr.